The official San Diego Velodrome adult classes are the most fun you can have on a bike. These class are great for both beginner and advanced level riders. We have had experience road racers as well as riders that mostly just cruise around the neighborhood. Everyone has a good workout and has a great time. The classes is broken down into two groups, experienced riders in one group, and newbies in the other. Classes are 2 hours long for 6 weeks and run on Wednesday nights from 7-9PM. Coach Burke also works with individual athletes on the track. Contact us for more information. The cost for the 6 week class is $14 0 plus a small online reg fee. Class is half price for riders U26years old. Age verification will be required on the first day of class. Crank Cycling coaches know track cycling. We've spent hundreds of hours at the track coaching, training, and having a great time. We love the speed, the fun, and the fitness that track cycling brings. 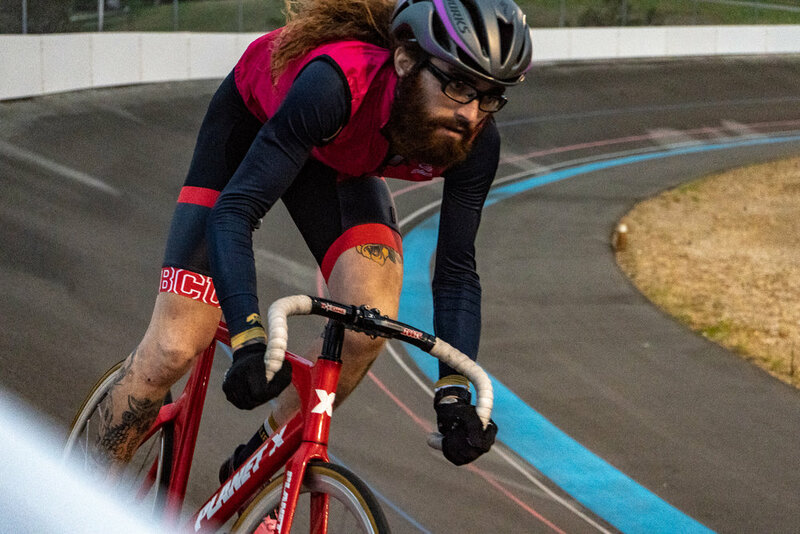 We truly believe that the skills learned on the track are applicable to all types of riders, from century and fitness riders, to experienced road racer. We are also available for private and group training sessions for beginner to advanced riders and can make arrangements to work with cycling clubs as well as other groups or organizations. Adult beginner classes run every spring and summer.